Gallery Lab 1.11: cleaning day 2017! It has been just concluded the cleaning day 2017 in the lab 1.11. 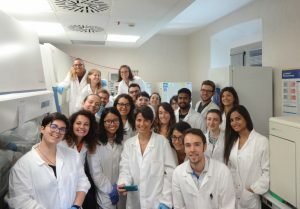 Ilaria Tonazzzini organized the cleaning procedure and all the lab users have participated to the activity. In the following picture the final “selfie” of the participants! Thanks to all of you for your contribution in keeping the lab clean!! !